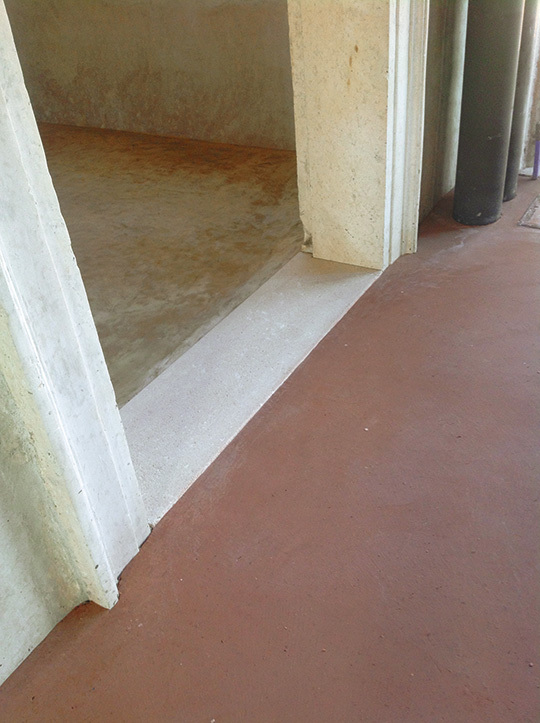 The “Pastellone” (also called “somassa”) is a type of flooring an ancient origin, even prior to the Terrazzo. 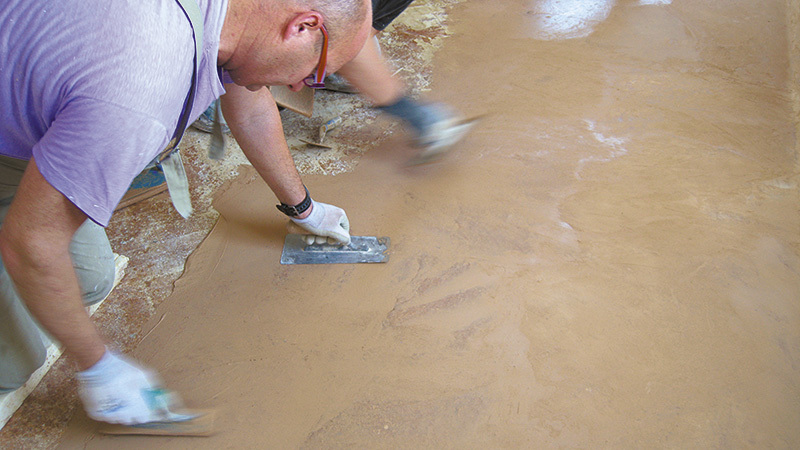 The technique and the materials used were very simple: a mixture of various aggregates (gravel, broken bricks, scraps) and slaked lime was laid, pressed and rolled until full settlement. With a working “a fresco” pasta surfacing after rolling was spatula “on the back of trowel” until you get a smooth and compact. 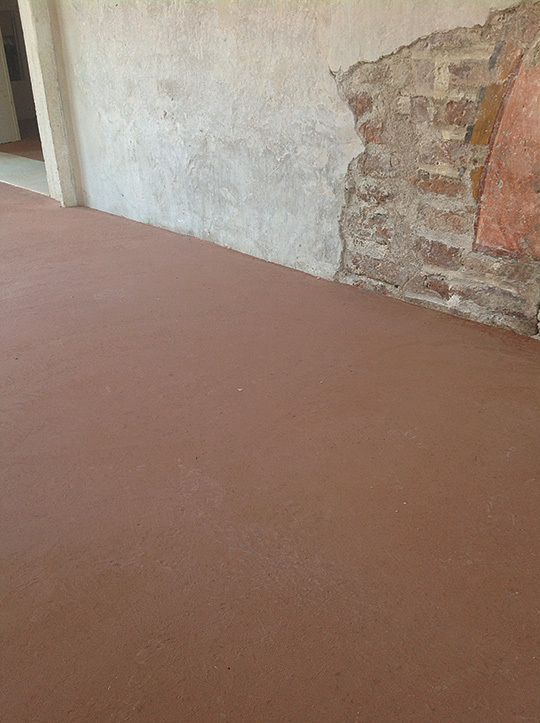 As the “Pastellone” deteriorated grouting surface was redone with a batter made of lime and brick with a stucco or pulverized oil obtained by mixing chalk Sarti (hydrated calcium sulfate) and boiled linseed oil. 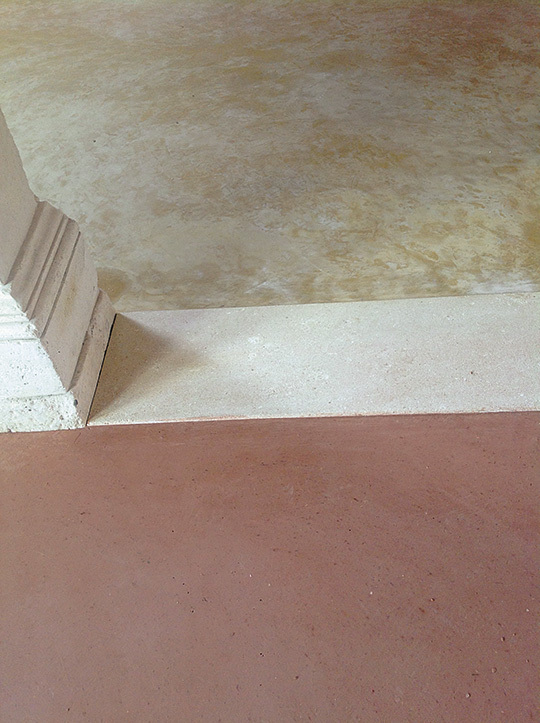 These successive fillings were often colored with natural pigments to obtain a regenerated flooring — practically new — even in color. In the course of our business we met “Pastelloni” restoration of various colors, from white to deep red, yellow ocher and even green. choice of an almost infinite range of colors that are available in standard or created on sampling on request. 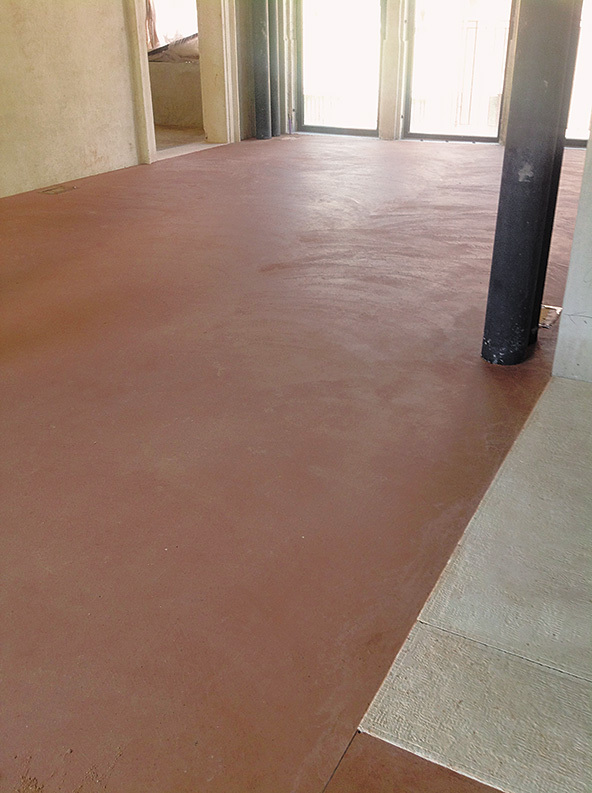 Natural materials, workmanship, a flooring antique flavor for the home of the future: the “Pastellone” can be the ideal solution.